What 500m Pace should I Aim For? For early Fall, you should aim for your 2k split + 5/6 seconds and aim to rate between 24 and 26 strokes per minute. For early Spring sessions you should start with your 2k split + 5 seconds and aim to rate between 24 and 26 strokes per minute. And as you get faster over weeks, you should look to lifting your rate to 28-30 and aiming for your 2k split + 1-2 seconds. Why should I do 10x500m in the Fall? There are a couple of reasons. The main reason is to give your system an occasional lift into higher intensity to support you in 6k/5k tests. A second reason is to give your system a stimulus and stay in touch with what rowing is all about – high intensity hard rowing. A third reason is that it can be a welcome change for the boredom of longer workouts. 10x500m at lower rates is around a 20 – 25 minute session. You will be doing a lot of longer workouts (for example 3x20minutes or 2x 30minutes, 10ks etc.) which are like the cornerstone to the success of your rowing season. So a twice monthly or a weekly session of 500s for 3-6 weeks in October/November is a great addition to any training schedule. How should I Approach 10x500s – What are the Best Tactics? Take is easier in the first 5-6 500s and aim to build for the last 4-5. Do not go too hard too early – this is a major mistake and you will pay for it later in the session. Relax. Yes – work hard on the power phase, but relax on the recovery. Keep moving very slowly and pulling very light on the rest phase. Can I take a longer rest? Yes, you can start 10x500m with a 2 minute rest. Then aim to reduce your rest time by 10-15 seconds per week over 4-6 weeks. Also, 1 minute rest is the lowest you should go, anything less and it becomes a trade off between quality and recovery. Can I do 7x500m Instead? You can do less 500s and keep the rest at 1 minute. That allows you to ramp up the intensity without going over the edge. As you get better, you can add one more each session. Scoring good 2k erg times is all about doing what the good ergers do. Imitation is the greatest form of flattery and when it comes to a 2k erg test, imitation of the top Olympic rowers is definitely they way to go. 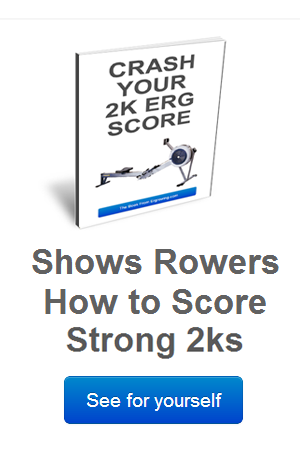 So what’s the 2k erg strategy of rowers who regularly score great 2k times? And more importantly what do you need to do to erg like them? Most of the top ergers follow the same pattern and it can be easily analysed by breaking the 2k test into 3 parts. They go off very hard for the first few strokes and settle down into their average pace early (after about 20 seconds). They then hold their split at an even manageable pace which is been worked out before hand using an erg score calculator, or from memory. For example, say you want to pull sub 7 minutes for your 2k. You calculate that you need to have an average split of 1:44.3 /500 for the entire 2k. This will give you a finish time of 6:57.0. Having gone off hard for 20 seconds your average split might be around 1:40 and as you settle down into pace the average will climb. Maintain pace and do not go for power 10’s or pushes unless you are experienced and fit enough to be able to cope with the extra power. This is a common mistake made by many beginner rowers (and some not so beginner!). If you want to get the most out of yourself you need to be pulling hard – on the red line with high average power. Red lining your pace means that you are in a position where you are flicking between grinding to a halt and just about able to hang on and manage. With 500 meters to go slowly raise your power (drop your split by 1 – 2 seconds/500) and hold it until 300 meters to go. From this point on it is all about slowly winding your power and rating up to the last stroke. Some rowers prefer to delay the beginning of the push for the line to between 400 and 300 meters to go. Decide for yourself on the timing of your sprint. Factors like how good you feel or how fit you are will weigh heavily on the timing of your sprint. If you have trained well and are well prepared then you will have practiced your sprint to the line. This is what all the great Olympic rowers do. And because they have practiced sprinting (no matter how hard it feels or tired they are) they are able to sprint on auto pilot – no matter what. So if you have gone off hard and lowered your average power over the first 20 seconds. AND rowed the middle part of your 2k test on the red line. AND you have practiced sprinting in training (no matter how tired you are) you can row yourself to a 2k best time faster than you imagined. To guarantee a good mental preparation for your 2k erg test or race make sure you begin early. You probably do it naturally anyway. 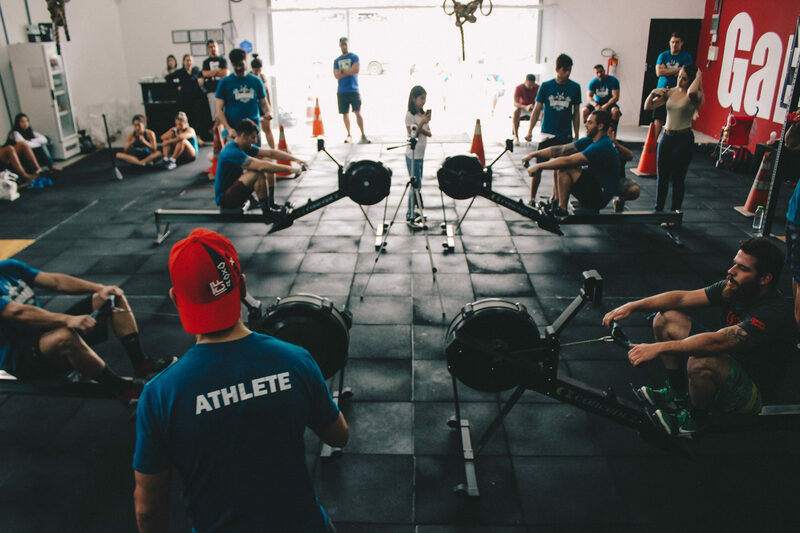 But once you are notified by your rowing coach or you take a personal decision to race a 2k erg test you should immediately begin the process of internal preparation. Because usually, the more time you have to prepare, the better you can be mentally prepared for the 2k. You must plan everything. And be absolutely meticulous about everything. Attention to detail is key. Decide exactly how you are going to prepare. Decide exactly on what you will do on race day. 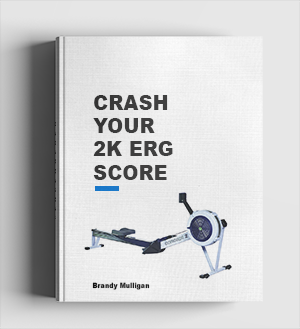 Have a 2k erg strategy well planned in your mind and practice it if possible at lower intensities in training. Knowing exactly what you you are going to do will reassure you and give you a strong base to launch your race plan on race day. Don’t fulfill to prophesy of he who fails to plan, plans to fail. I am a big believer in preparing physically for a 2k erg. I believe that an excellent physical preparation will give you enormous confidence and mental strength in your approach to the race. 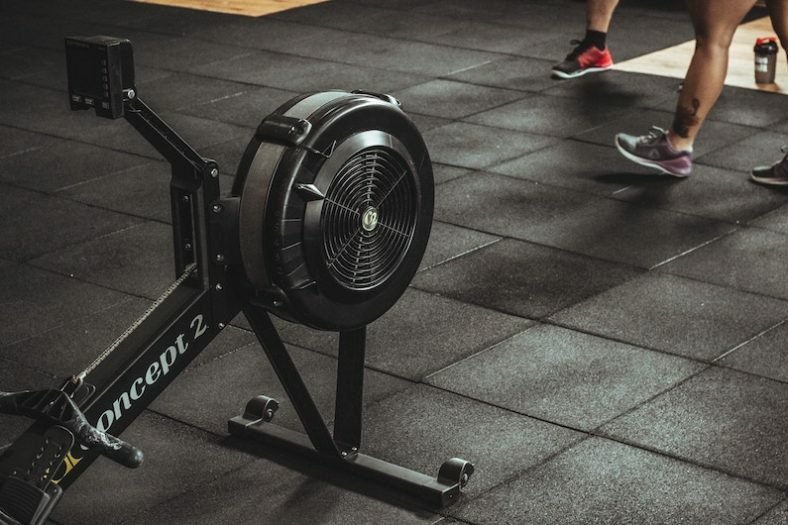 If you are well trained and have developed the necessary fitness and mental toughness for the 2k erg in your training, then the need to do other extra mental preparation should not be as strong. 4. Better to be under than over cooked. Never, ever over train with erg rowing when you are preparing for a 2k erg test. When you are tired and over trained the chances are that you will be weak mentally. Or at best you will be in a vulnerable mental state for the 2k. This balance between under and over training is up to you. And will come with experience. But when you’re are in doubt – more is less. When it comes to race day, within the confines of your 2k test plan you should aim to attack. Our primitive natural defence mechanisms instruct us to either fight of flight. 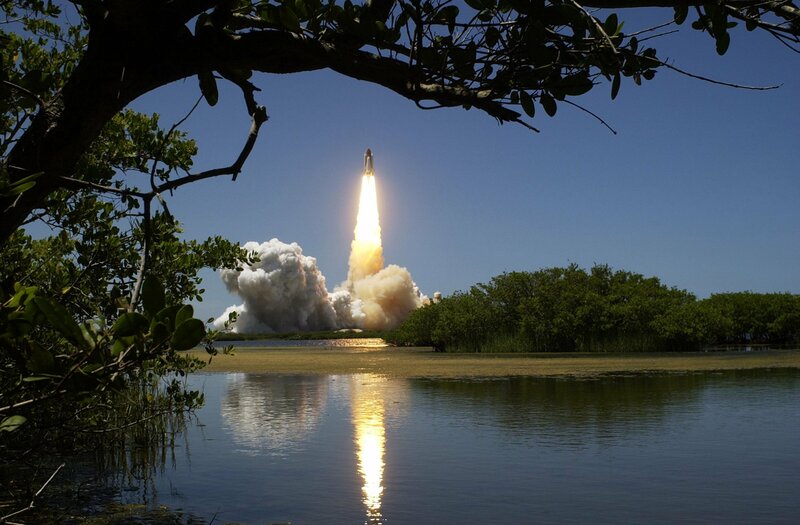 Adrenalin can be a great strength for a rower. It can make our rowing perceived exertion seem easier. So use it. Aim to attack the erg test (within your plan) and do not fear it. Remember the last 2k erg test you did? What promises did you make yourself during or afterwards? Did you keep them? Maybe you promised yourself that you’d train harder, smarter, get more sleep or eat better. We’ve all done it. But the real difference comes in keeping those promises to yourself. It’s all about personal integrity. It’s just between you and me. Keep your promises – and when it comes to preparing for a 2k erg test, you will thank yourself. Aim high, under achieve and you’ll feel bad. Aim low, over achieve and you’ll feel great. Expect an ok erg test, it’ll be hard and you’ll suffer mentally. Expect a very difficult erg test , it’ll be easy and you’ll score a PB. (I’ve used this tactic successfully many times). Jolt from the comfort zone into new rowing territory. But be warned – of all the rowing workouts that ergrowing.com recommends this one is one of the toughest. But most of all it’s a rowing workout designed to help you develop an awesome middle 1000 2k race pace. Warm up for around 20 minutes with some solid rowing. After around 10 minutes do a 1 minute pipe opener rating 30 – 32 rowing hard. Next (after a short break) do 3 x 15 strokes at rate 32, 34 and 36 respectively. Take around 1 minute easy rowing between each 15 stroke push. 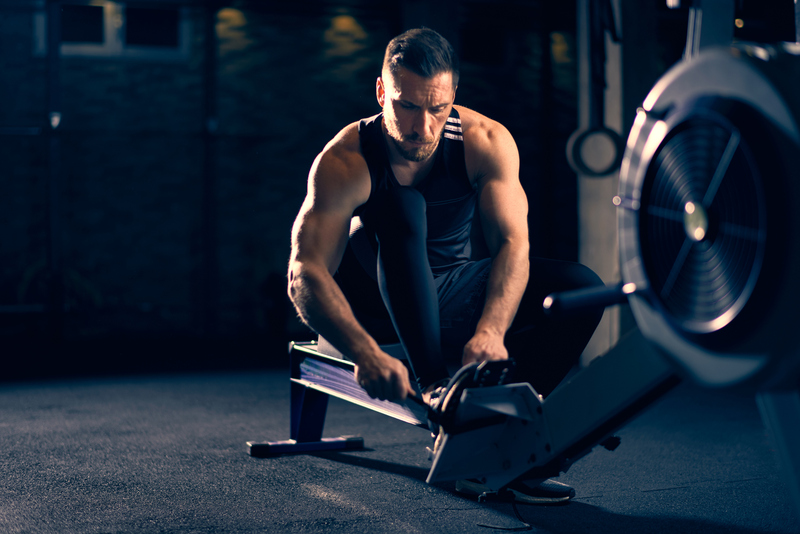 Finally do some easy rowing for 2 – 3 minutes and get ready for the actual rowing session. Row hard at 32 strokes per minute for 30 seconds, then drop the rate down to 30 for the next 30 seconds. Repeat this wave for a total of 5 minutes. Take 5 minutes easy rowing and repeat the 30 second rowing wave for 5 minutes. After that take 5 minutes easy rowing again and repeat the wave a third time. Row easily for 5 minutes and take a short break. 7 minutes after finishing the 3rd rowing wave begin the next phase. 12 minutes steady rowing rate 28. Focus on power and rhythm developed in the 5 minute wave phase. Take a 5 minute rest and repeat the 12 minute workout. Warm down in the usual way. For the 5 minute wave workout make sure you work hard. For some rowers (and rowing crews) rating 30 – 32 in the summer racing season is easy. But if you do it with extra punch and purpose, you will get an excellent physically challenging workout. But here’s the best part. Most rowing workouts focus (mainly) on the physical training effect of the program. Very few have a physical element intertwined with a specific technical & physical element built into the workout. Very few are designed so that it would be impossible to do a good workout without using your technique and physicality properly. In this workout, when you drop the rate down from 32 to 30 strokes per minute you should actually row harder. That’s right – you should actually work harder in the water. Now to some rowing coaches (and rowers) doing something like this is borderline rowing heresy– it betrays the very fundamentals of ratio and rhythm with the timing and speed of the boat. That stuff is all fine and dandy and in the real world of racing 2k competitively its actually crucial. But in the world of training and practice you need to learn to improve your weaknesses. And you know what one the biggest weaknesses (technically & physically) of mid level rowers and rowing crews is? Is that point of a rowing race where crews make a change from the after start phase to the middle of the 2k course phase. It’s the point where most crews actually lose speed and set themselves up for a slower than potential middle of the course pace.. It happens because rowers and crews lighten off the work rate in the water way too much. Trust me. 50 – 60 % of rowing crews (at mid level) do this in every race. The distortion of the rowing rhythm causes all sorts of problems for the rest of the race. Crews get too tired rowing in an incomplete rhythm that is not a direct match of the boat speed. The rhythm at the beginning of a rowing race is generally good amongst most crews. But most lose it when they drop the rate down for the middle 1k. You and your crews need to train and practice the transition from the racing start into the middle 1000. Doing the 5 minute workouts (with 30 second waves) will help you and your crew practice that transition. So when the rate drops by 2 pips – Harden On In The Water. But what should you do when the rate goes back up to 32? Pull lighter? Pull the same? I’ll leave that up to you to feel it out. But most will pull harder. Is this an Erg Workout? I’ve tried this rowing workout on the erg and found it to be a very demanding erg session. Be warned this workout should only be attempted when you are mentally and physically fit. And more importantly, should only be attempted once a week – max.